We already know or at least we have a basic concept about what an automated optical inspection machine does, since it is a system that has been increasing its use during the last years. If you still do not know its function, it is important that you read the information that will come next. Can an automated optical inspection machine detect only cracks and scratches? This system has undoubtedly facilitated the life of all the manufacturers that subject their products to this inspection process, so that they can more clearly detect any visual failure that exists anywhere on their surface. But over the years, the automated optical inspection machine has evolved in such a way that its functions are not only limited to a visual inspection that is concerned with the physical integrity of the elements analyzed, but it is also capable of detecting faults which are more specific, for example some short circuit, this in the case that is being reviewed materials of electronic origin, which has become a fairly common activity among these machines. What are the other functions of an automated optical inspection machine? An automated optical inspection machine has the basic functions of any other visualization machine, for example the detection of faults, but this machine goes much further, because with the passage of time it has modified a great variety of ways to process faults. At present, the technology under which these machines operate, is created and constantly improved by expert engineers of the area, each one of the participants and developers of this software through which the images granted by the inspection can be obtained and processed, is known as automated optical inspection manufacturer. The work of an automated optical inspection manufacturer is not as easy as it is believed, because it is people who seek evolution and excellence on a daily basis, for them it is important that the automated optical inspection machine operate under the rules established by the company, and also to be able to cover the needs of those who request their services. Their presence is necessary in this field, thanks to these professionals it has been possible to measure pieces that are so small that it would be impossible for the human eye to see any anomaly that they have at a physical level, and even more difficult to detect through vision a failure of electrical or electronic origin. Since the digitized images were included in the procedure of an automated optical inspection machine, inspections have been greatly facilitated, and these have also remarkably improved their quality, as the machine processes an image that is increasingly clear, wider and more real, which allows you to detect any failure, even if it has a microscopic size. Finally, what you should also know about an automated optical inspection machine is that it is capable of making a scheme automatically, where it classifies all those elements in perfect condition and those that do not, so that the manufacturer can evaluate the quality of your product. 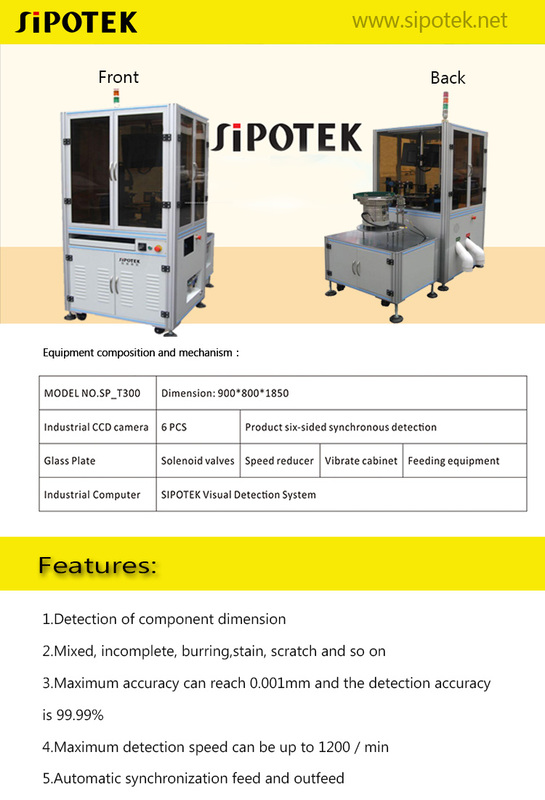 To learn how a automated optical inspection machine can automate the production process, one can visit the website https://www.sipotek.net/ .